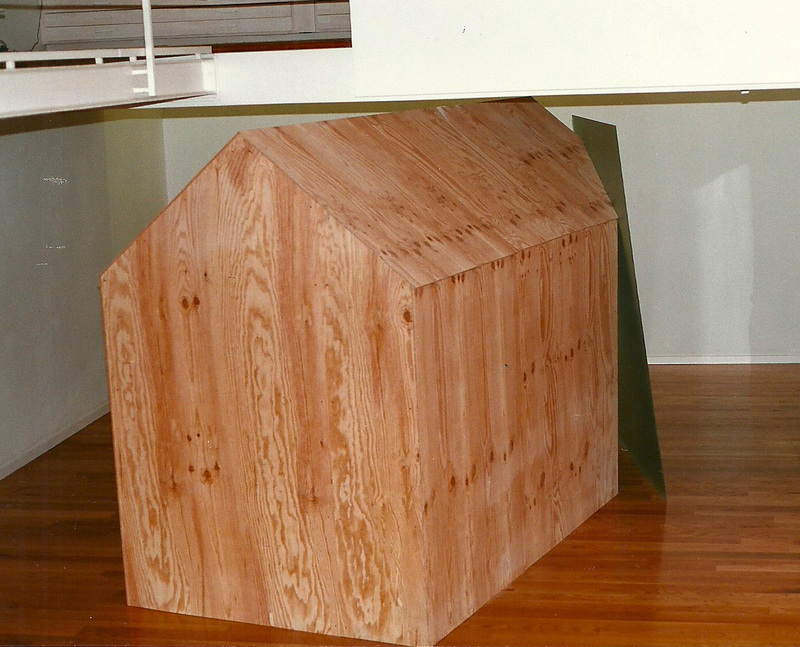 Untitled, 1997, glass and wood, 210 x 180 x 350 cm. 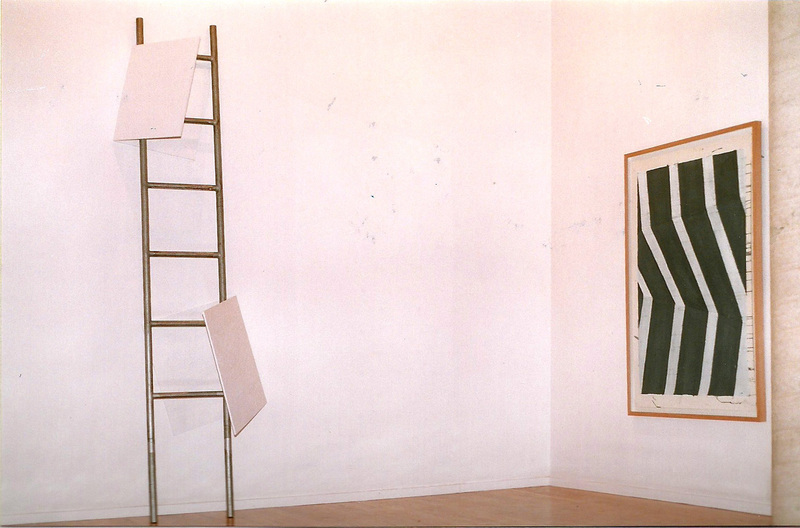 Untitled, 1997, mixed media on paper, 159 x 113 cm. 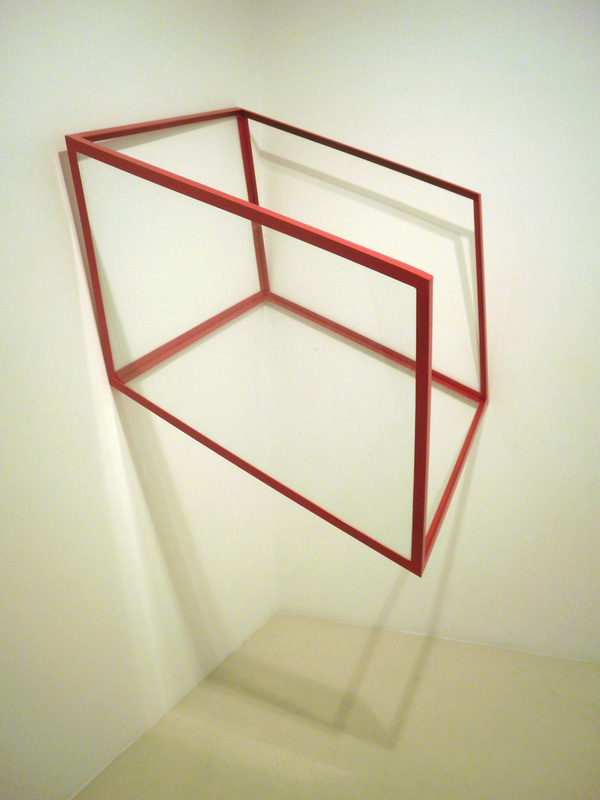 Untitled, 2008, painted iron and glass, 160 x 150 x 110 cm. 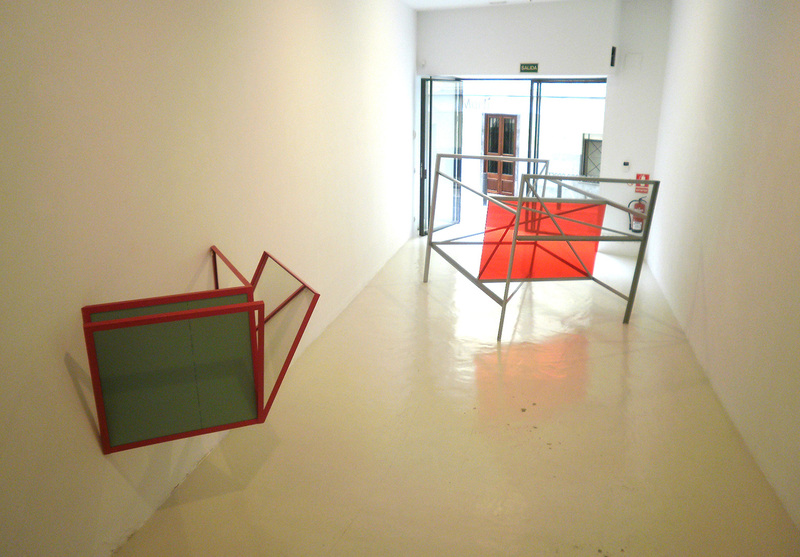 Untitled, 2008, painted iron and mirrors, 75 x 165 x 92 cm. 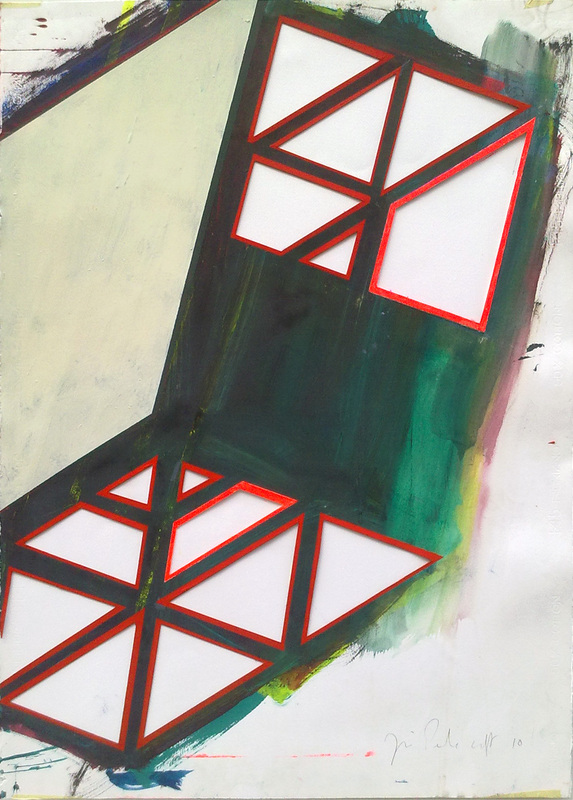 Untitled, 2010, mixed media on paper, 70 x 100 cm. 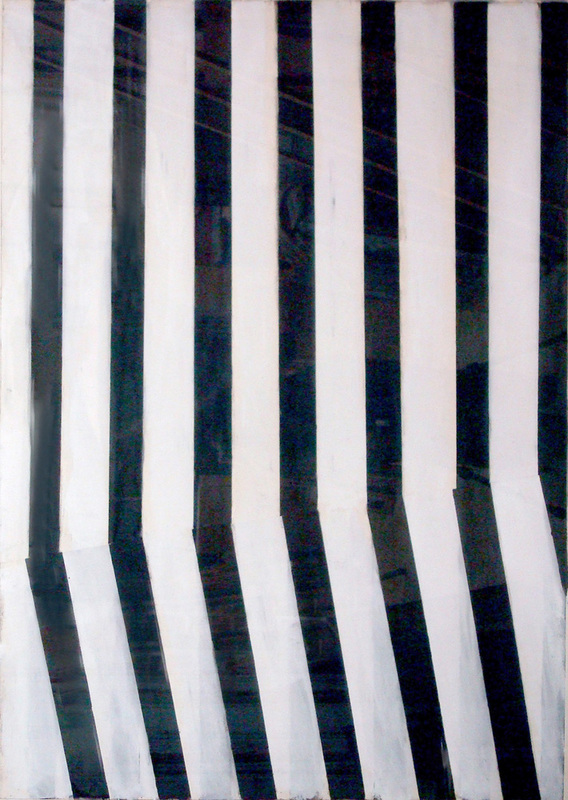 Untitled, 2010, mixed media on paper, 100 x 70 cm. Untitled, (ed.12), 1997, etching, 124 x 112,5 cm. Untitled, (ed.12), 1997, etching, 112 x 129 cm. 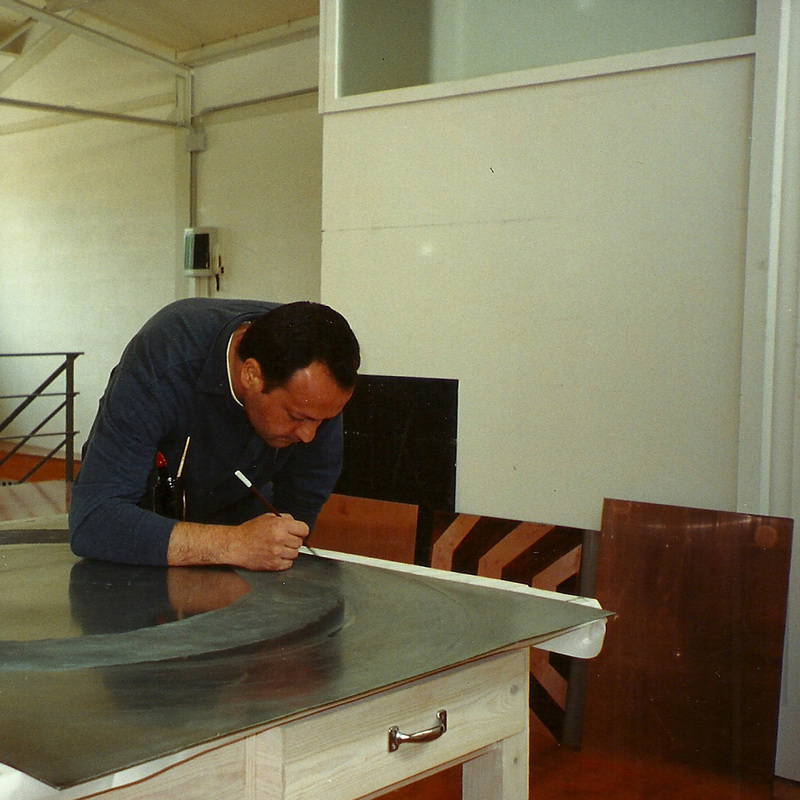 Was born in Porto, Portugal, in 1957 and is one of the main representatives of contemporaneous art in Portugal. His sculptures create complex dialogues with the surroundings, as well as with their own volume and shape by means of simple, almost minimalistic structures, that combine both the materiality of the object and the formal aspects. 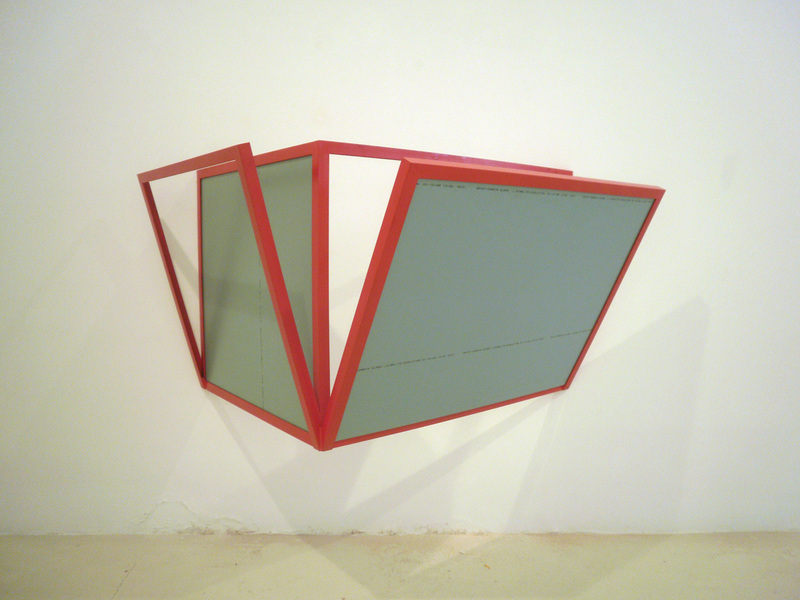 In some cases, the latter are reinforced by the use of brightly coloured industrial paint, which is applied in a way that suggests a perception of the sculpture as an embossed painting. Even more, Croft uses mirrors and glass to play with light, shade and reflections so as to create new volumes and an altered sense of space. 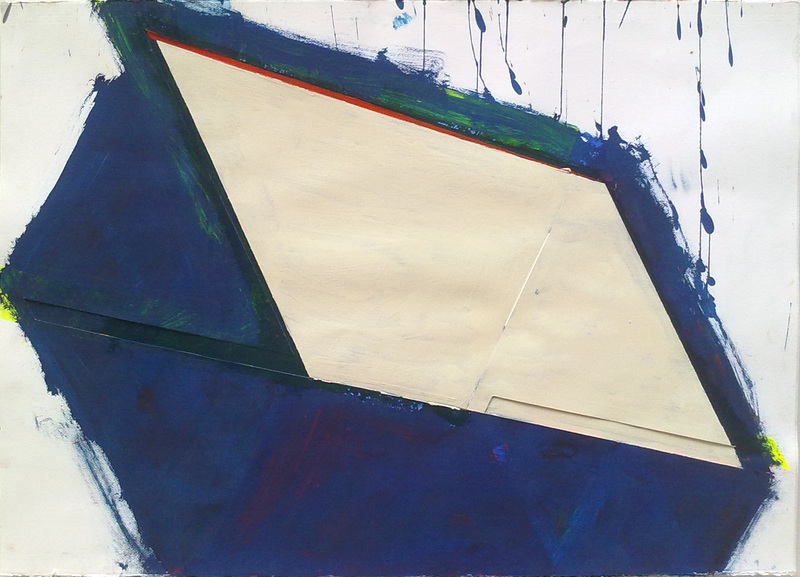 A dialectic tension between full and empty is created, as can be seen also in his work on paper.